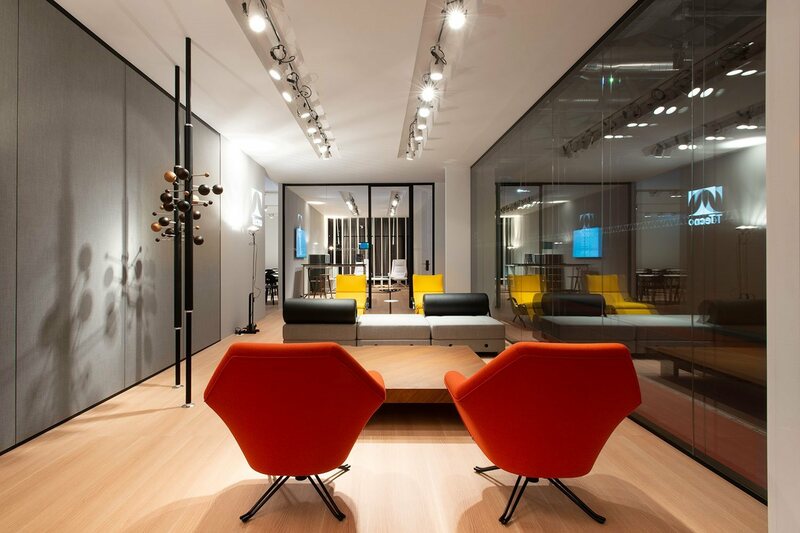 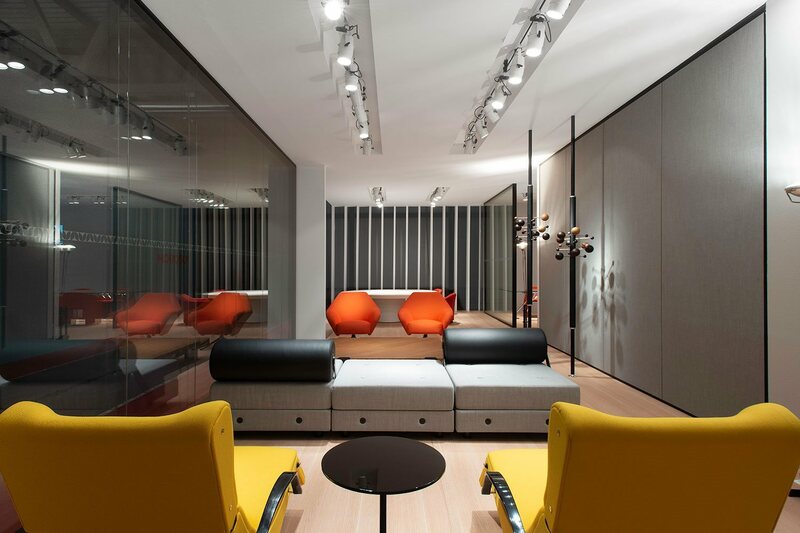 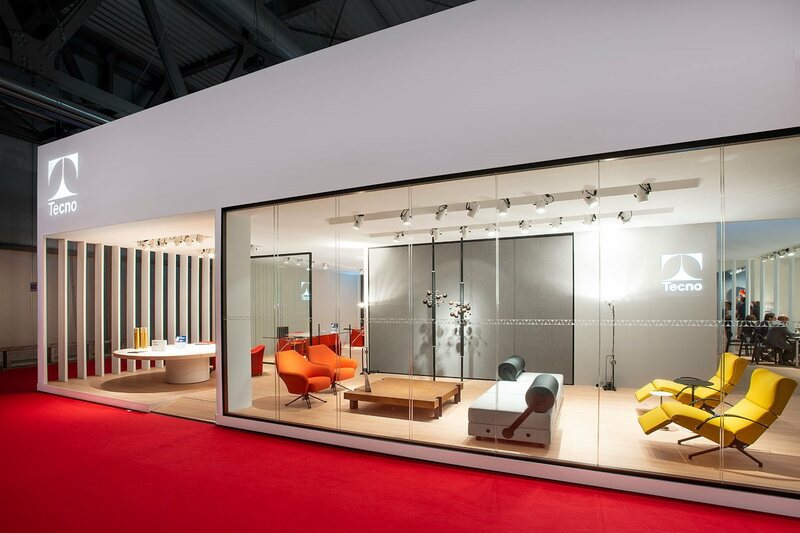 In hall 16 of the Salone del Mobile international furniture exhibition, the Tecno space interprets new ways to work. Autonomy and collaboration: workplaces are constantly evolving, shifting from a traditional approach to open-plan offices and co-working methods. 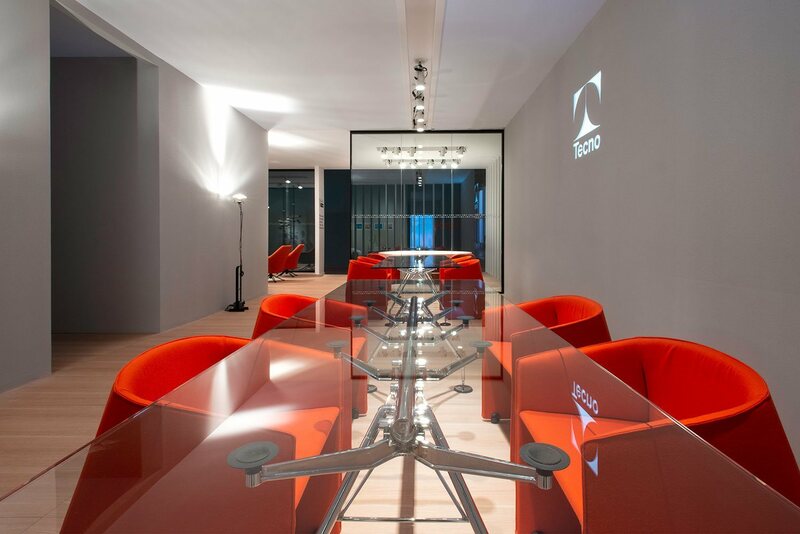 The concept of the “office” is no longer identified as merely a physical place, but it is also defined by its furniture, which enables new ways to work: Tecno collections in fact constitute innovative solutions stemming from contemporary needs – global, technological and mobile – and are designed to foster shared and flexible work. At the Salone del Mobile 2019, Tecno booth, designed by studio Calvi Brambilla, is therefore staging several settings that combine new products with some of its best-selling offerings, illustrating its way of designing: an area for waiting and meeting or for holding small meetings overlooks on one side collective workstations organised around Nomos tables, continuing on the other side with a dynamic and multifunctional cluster furnished with the Linea micro-architectural system, Clavis workstations and the enveloping Aura armchair. 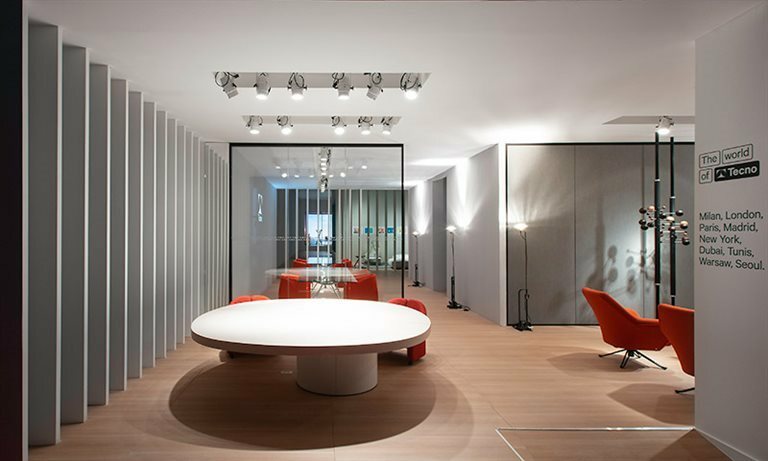 The perimeters are marked by the W80 and WE partition walls, which become the key feature to divide up the interiors, since they make it easy to redefine the layout with the utmost freedom of configuration and considerably speedy installation. 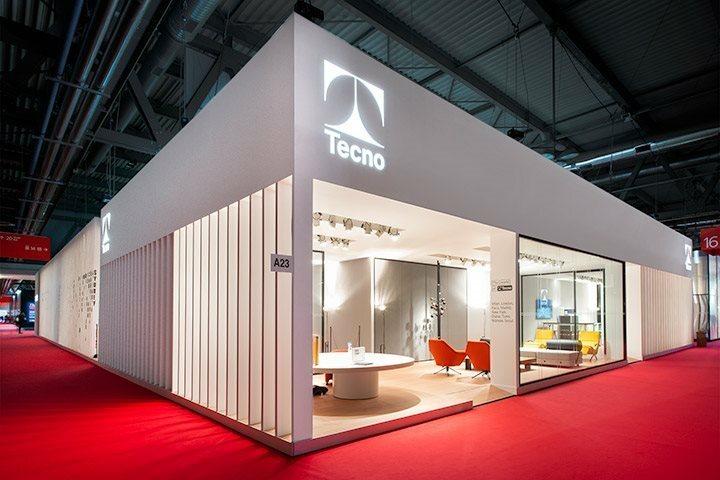 Thanks to the possibility of incorporating the io.T The Intelligence of Tecno system, the settings take on customised responsive functions depending on the user’s requirements and work activities, to improve personal comfort and implement the efficiency of the settings. 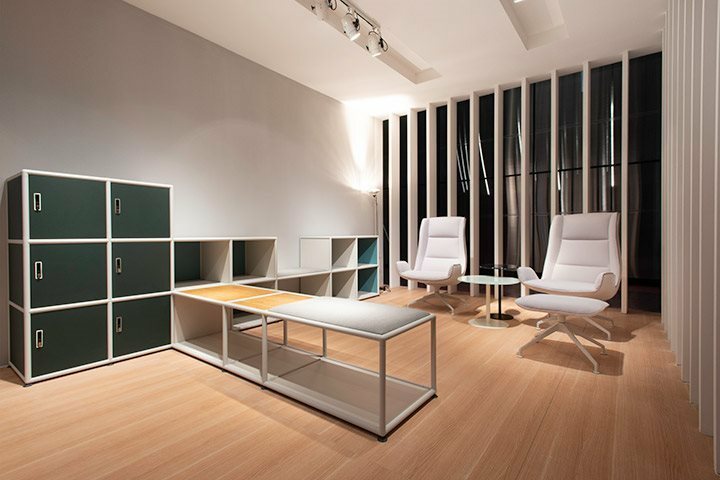 The furniture is therefore connected and easy to manage using software and Apps, so that anywhere can become an office, and any office can become your office.